We've held the HDIF Children's disco at the End Of The Road festival for the last seven years, and they've been lots and lots of fun. We play our usual mixture of indie pop and soul, and the discos are a wonderful opportunity for kids to bop around to The Smiths, Belle & Sebastian, Allo Darlin', The Ramones and more, and for their parents to bop along with them. 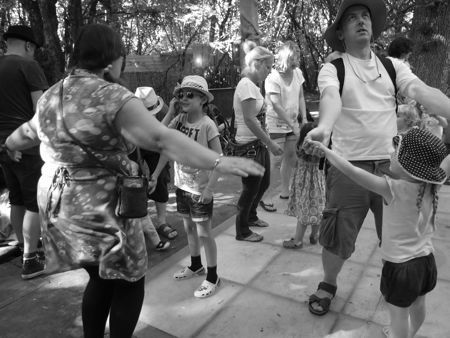 It can often be hard to get out to club nights once you become a parent, so these discos are as much a chance for the parents to go out dancing as they are for the kids. We also want to provide an alternative to the many rave-themed kids discos that are on offer in London. If you'd rather dance to your favourite indie pop and Motown songs with your children, then we're the disco for you! Music will be played at a reasonable level. We'll make sure that the songs aren't played too loud, but if you're worried about volume please do bring along ear defenders for your kids. 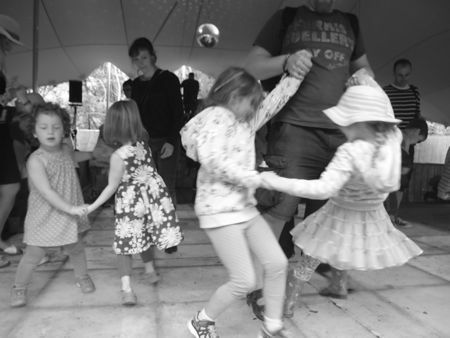 Everyone is welcome at our kids discos - children, parents and family friends - but we follow similar rules to Coram's Fields - so no admission for adults unless they are accompanied by a child. The venue is a wonderful basement bar with a wooden dancefloor. Entrance is via a short flight of stairs. It's three minutes walk from Oxford Circus tube station. 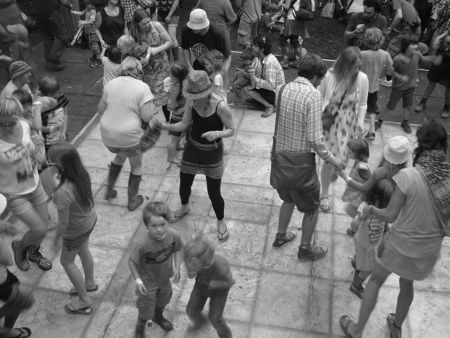 Here's a video of the kids disco at EOTR in action! Reviews of How Does It Feel To Be Loved? "Great fun today, perfect venue for a birthday bash: the kids loved it! Lost in Music perfect song to end on and some nice tributes to MES." "My two (7 & 5) loved it. A very good afternoon. We will definitely be coming again. Thank you for playing Hush." "Had the best time this afternoon! Thanks Ian!! I think we’d best get booking our tickets for the next one! Yey!" "Great fun again! Thanks Ian! See you next month!" "It was great, great fun, glad we finally made it. The children's discos have been the highlight of the last few years at the End Of The Road festival, so was ridiculously excited to see you doing it in London. We'll be back next month!" "Had a lot of fun dancing this afternoon. Thanks for the opportunity!" "My daughter's been to school discos and said that they have been terrible and I needed her to know there are places where she can hear the music she knows and loves..Thanks for that. We are at End Of The Road festival this year so hope to see you there too." Throw a party in your living room with the latest HDIF podcast. The podcasts have a variety of themes - some feature songs that were played at the most recent club night, and some are new music specials focussing on indie pop.